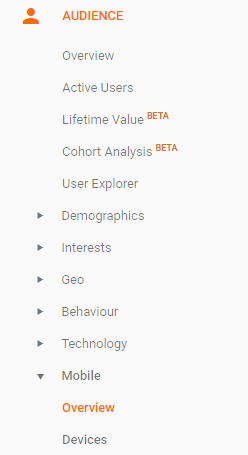 Beginners' Google Analytics - Do I Need To Invest In A Better Mobile Website? Problem: How do I know how well my mobile website is performing? 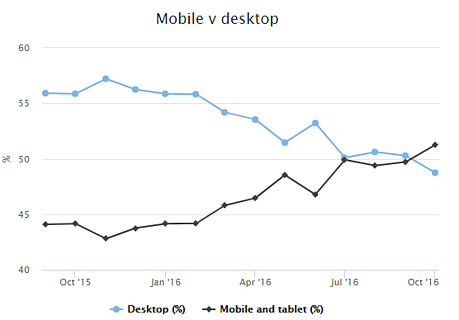 Mobile overtook desktop yonks ago in terms of Google searches, and this was closely followed by overall web usage in late 2016 (see affirming graph below). We’re pretty sure it's likely to stay this way for the foreseeable future (until Elon Musk finally succeeds in plugging his neural lace directly into our fleshy pink brains). The burning issue here is that, despite its growing dominance, mobile is still way below desktop in terms of conversion rates. There are no shortage of theories why this could be - because the majority of decision makers are still desk-loving Baby Boomers? Maybe it's because people feel less secure about keying in their card details on the rush hour train while a homeless man sleeps on their shoulder? We believe that the primary reason why desktop still outperforms mobile with regards to conversions is because, across the board, the user experience on mobile is, simply, not up to scratch. But mark my words - it will be. 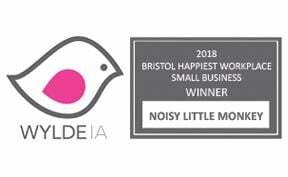 Before you start shovelling crate loads of cash into the web design furnace on the back of the word of slightly arrogant millennial, you should probably check how important mobile is for your business - cos girrrl, we’re all different. And special. And winners. Except some of us who lose. Don’t be a loser. 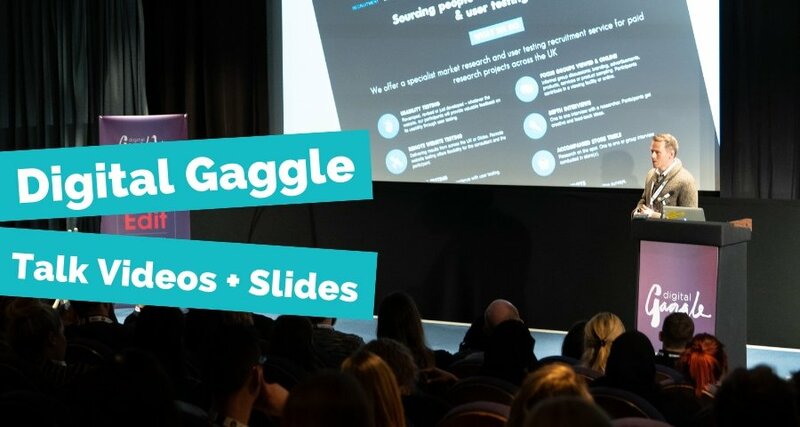 Wipe the dust from your Google Analytics account and follow this reporting guide to find out if it’s time to get your cash shovel ready and invest in a better mobile website. Where should I look in Google Analytics? Here you’ll get your first clues as to whether an investment might be worthwhile. Depending on industry, this will differ significantly. Just to give you a blasé generalisation based loosely on our clients, ecommerce tends to see higher usage on mobile, while in professional services, desktop usually comes out on top. So let’s dive into the important metrics that should give you a clear indication as to how your mobile site is performing, how popular it is and whether investment is due. NB - Set your date range to cover at least 90 days to get a clear picture of how your website is performing overall. You don't want to tell your boss to invest in a better mobile site based on a week's worth of data! Sessions are your first key performance indicator (KPI) for how your mobile website is performing against other devices. 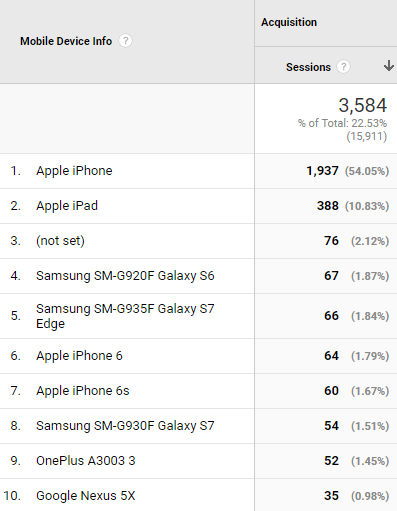 By having a look at the number of sessions, and its corresponding percentage, you can see how much your overall traffic depends on mobile. However, a high number of sessions doesn’t necessarily mean you have a great mobile user experience - it just means the demand is there. A bounce is defined as a visitor who takes no further action on your website. So this may be that they click through to your website from Google, then in a fit of abject disgust, click back to the previous page. A high bounce rate is usually a bad thing. It's very rarely due to content being so damn good that the device simply explodes (sorry Samsung Galaxy Note 7 - our content was just too damn good!). Bounce rate is a valuable metric to compare desktop with mobile, because if you notice that the percentage is dramatically different, you’ve more than likely got a problem. 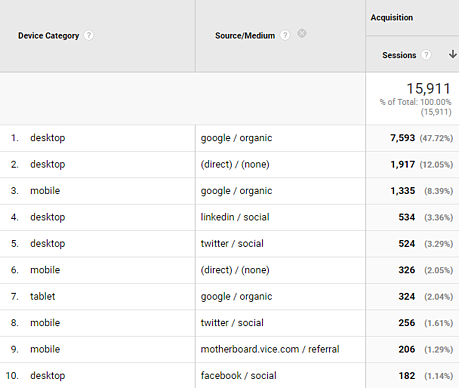 So if you’ve got great demand (lots of sessions), but 90% of mobile visitors are bouncing (i.e. are unsatisfied with what they find), it's time to invest in upping your mobile game. Pronto. Similar to bounce rate, by comparing how long visitors spend on your site by device, this will be a good indicator as to whether the user experience is optimised and whether you need to invest in a better mobile website. 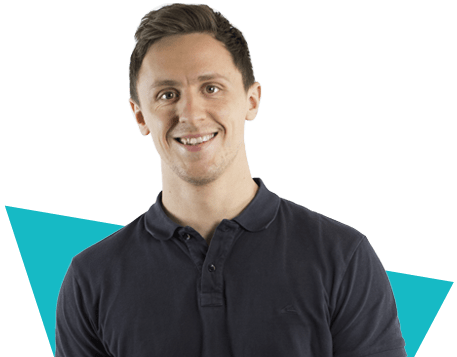 Shorter session durations tend to be associated with people being less satisfied or more frustrated - however, it can also mean that they've found what they want quicker, so be aware of the context, what your website provides, and apply some intelligence. If you’ve set up Goals on GA to measure how well your website captures leads or sales (which we highly recommend), this is perhaps the most important metric for deciding whether now is the right time for investing in a better website for mobile. Is your mobile website making a good return on investment? 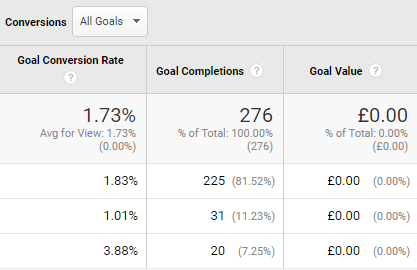 Have a look at your Goal conversion rate, Goal completions and sessions for each type of device. Are your sessions evenly split, but desktop converts much better? You need to look at your mobile user experience and figure out why - maybe the checkout process or the form is faulty on mobile. Maybe your mobile traffic is a fraction of the overall traffic and has the lowest number of Goal Completions, but actually has the highest conversion rate percentage? In that case, why are mobile users not finding your site in the same numbers as your desktop visitors? Pick up your phone, try it, and see if you can see why! Source/Medium: Here you can see which source is driving the most traffic to your website on mobile and desktop. This can give you that extra bit of knowledge to strenghten your argument but primarily, it's just useful to take into consideration. You might have clicked on this dropdown before and thought, “Different mobiles, huh, ok...cool,” and then got on with whatever else was more important that day. But the reason it can be telling is because, although your website, which was developed 5 years ago, is optimised perfectly for the iPhone 4S, it is not necessarily going to be seamless for the upcoming iPhone 8, and it might have a terrible Android experience. Having an awesome mobile experience means optimising your website for the mobiles your audience are using. Perhaps you can spot particualr engagement issues with specific devices. Want some more awesome tips on measuring digital markting ROI? Download our free guide, what are you waiting for? !